Genre – Alternative Rock, Post-Grunge. The Foo Fighers return with their seventh studio album, Wasting Light, which was recorded between August 16th 2010 and January 3rd 2011 in the garage of lead singer and all around funky dude, Dave Grohl. The eleven track album was available to stream from their SoundCloud on April Fools Day (Friday 1st April), but you’d be a fool to think that the Foos have lost their touch (and yes, I did just use April Fools Days to link the Foo Fighters, I’m cool…). It seems that Dave Grohl and the gang have decided to return to the heavier side of rock, that is if you compare this release with later releases such as Echoes, Silence, Patience And Grace. Songs such as White Limo, Rope, Back And Forth and Bridge Burning give an impact to the ears similar to that of Monkey Wrench from their first release The Colour And The Shape. And that impact, my friends, is of the good variety. Though this album is more on the harder side of rock, there are still essences from their later releases, such as the third track, Dear Rosemary, which has the same vibe as Long Road To Ruin from their sixth album. It’s one thing to be in a band. It’s another thing to be in a band for the long haul. It’s another thing again to be in a band that has consistently released brilliant albums. 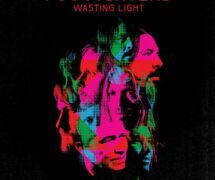 All six of the Foos’ past albums have been nominated for a Grammy Award, with half of them winning the award, and I can guess they’ll hit another nomination with Wasting Light. I fail to see a bad part of this album that would make me avoid this album. From the flawless vocals from Dave Grohl himself to the music that flows under the lyrics, it’s definitely a contender for one of their best albums, if not a possible contender for best album of this year. Don’t believe me? Why not? Well, why not take fifty minutes of your time to listen to it? And what do you know, I’m nice enough to embed the whole album here. You can pre-order (or buy, depending on when you read this) by clicking this link to iTunes.